Just How Cold is it in Maryland? Well – at one point yesterday it was colder in Oakland, Maryland than the South Pole! At one point it was – 15⁰ in Western Maryland and -7⁰ at the South Pole! In Baltimore, we didn’t get quite as cold as the South Pole, but we did beat Alaska! For the first time, on our weather graph, the Baltimore line dropped below the lines for Anchorage, Galena, and Nome! So, with this historic Polar Vortex hovering overhead, we put our regularly planned lessons on hold and did some “Just How Cold IS Baltimore?” activities and then related them to travel on the Iditarod Trail. We started off by putting thermometers outside our back door, so we could see just what kind of temperatures we were dealing with. The thermometer we put on the playground in the shade showed -8⁰ F and the thermometer in the sun showed about 6⁰ F. The boys were surprised that being in the sun would make that much difference! We put cups full of water in the same two locations and then checked on them periodically during the day. The boys originally predicted that the water in the cups would freeze in less than fifteen minutes. They were surprised when it took the cup in the shade about an hour and a half to freeze solid! The cup in the sun looked like it was finally frozen at the end of the day, but when we popped the ice out, it turned out that it was only frozen around the edges! The whole center was still liquid! We talked about how one thing the Iditarod mushers have to be careful of is making sure they have enough water to drink on the trail. It’s one of those things you don’t really think about, because usually you think about needing to drink water when you are hot… not when you are cold. Mushers have to get creative in finding a solution to keeping unfrozen water accessible for their journey. We also set up an experiment about wind chill. We set up a tray of water and measured the temperature of the water to be 50⁰ F. We set up a fan to blow across the top of the water and watched to see what would happen. We were shocked when the temperature dropped 10 degrees in just 2 minutes! It kept dropping and dropping, until it got down to 32⁰ F about fifteen minutes into the experiment. The most surprising part? 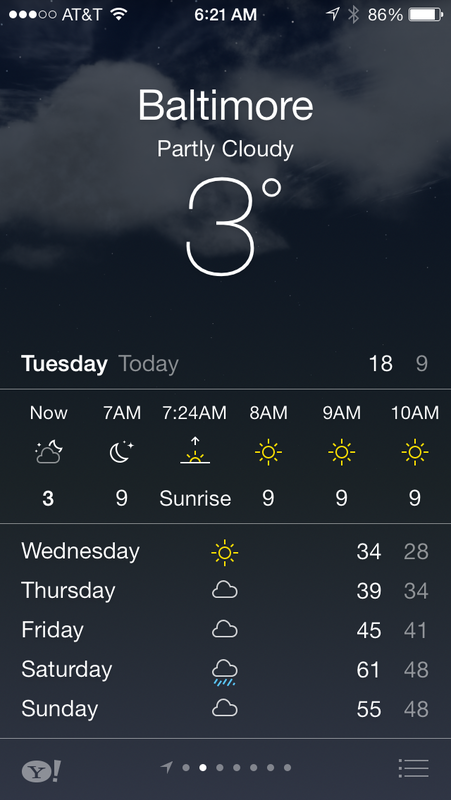 We let the fan run for the entire rest of the day and the water temperature never got lower than 32⁰ F! It was a great chance to talk about other factors that came into play and why the water wasn’t freezing even though the temperature said it should be! We were able to relate this to the Iditarod by talking about the gear the mushers wear and they need to dress for not only warmth, but to be wind proof as well! But, but far, the biggest hit of the day was the soaking wet sweatshirt! 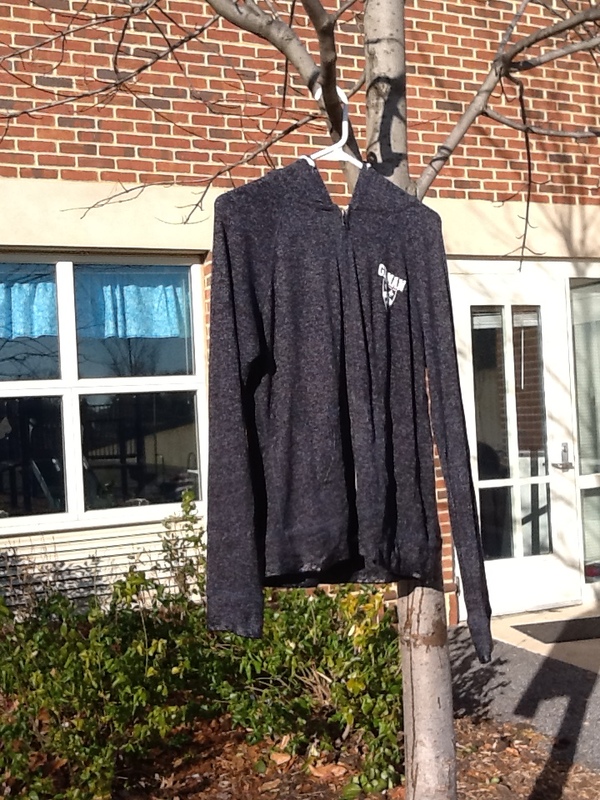 We took a sweatshirt and got it soaking wet and then hung it on a hangar in a tree outside our window. The immediate result was that steam rose off the shirt like crazy! Then the icicles started to form on the bottom of hem. We brought it in every five minutes at first to see how hard it was getting and after we decided it was officially “stiff as a board” we just let it sit outside until the end of the day. The boys were dying to drop it onto the floor. Half of them thought it was going to shatter and ruin the shirt, the other half thought nothing would happen at all. So, just before dismissal, we brought it in and climbed up on the table to drop it to the floor. I wish I had gotten a video! We dropped it and it landed on the floor standing up on the bottom hem perfectly upright! It didn’t fall over, it didn’t shatter, it just stood there like a frozen soldier! It was so funny and their expressions were priceless! Now they are anxious to see if it the sweatshirt will return to its’ natural soft and cozy state by tomorrow morning. We tied this into the idea that mushers do NOT want to wear cotton! They were able to see quite obviously the trouble a musher would get into if they were to run into overflow or water while wearing cotton clothing! We just did a simple scientific method form for the experiments. They recorded the question, hypothesis, observations, and then made a conclusion. It was just a spur of the moment type of day, but it was a whole lot of fun!